I have an enclosed coop with an automatic coop door (on a timer) that lets The Girls in and out to an extended chicken run. 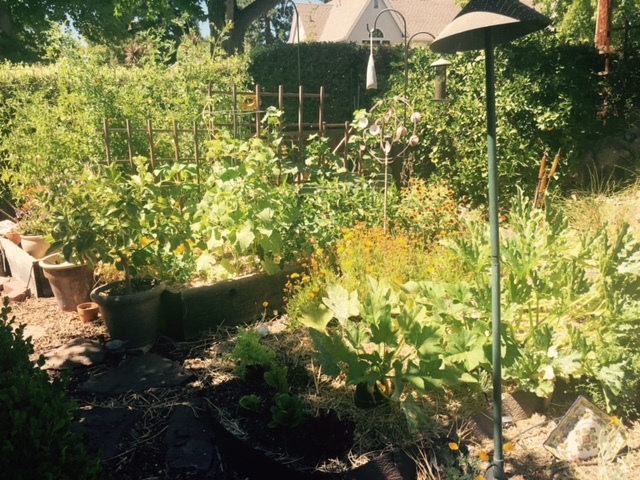 Also have vegetable garden. 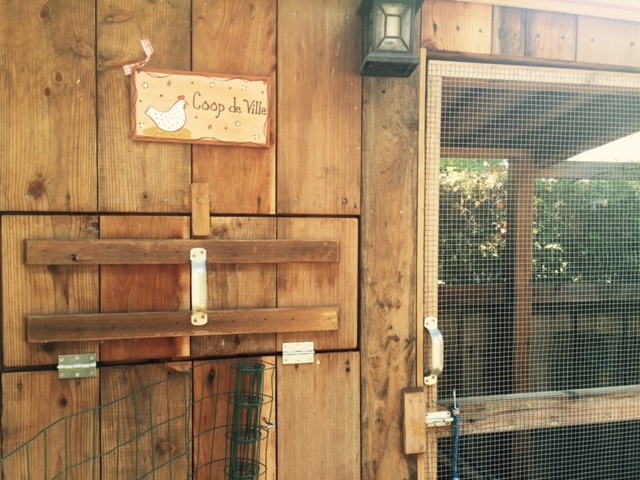 The Coop de Ville houses 4 “Girls” & 3 Chicks each chosen because of the color of egg she lays. The coop has an automatic chicken door on a timer. 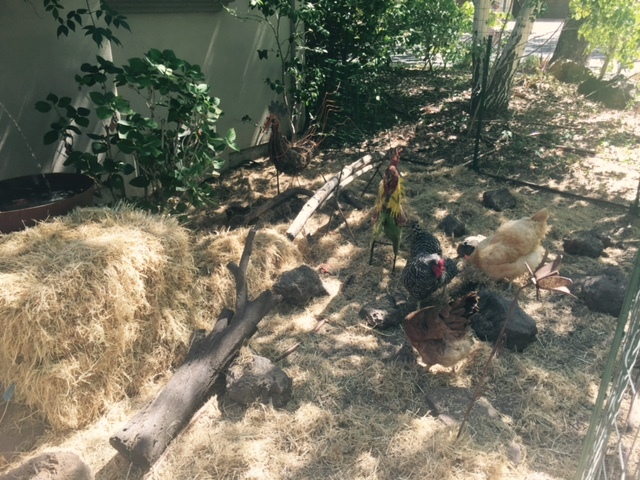 The side yard chicken run allows for easy neighborhood viewing. Newly installed 500 gal rain barrel with pump that is filled with PA ground water weekly by Purple Pipe truck water service. The water truck also waters the front yard and curb twice weekly. Vegetable garden and citrus grove in pots.